Raw hazelnuts, traditionally imported by ZIELER & CO. from established trade partners in France and the USA, are tasty and healthy. Whole hazelnuts are very ornamental, their kernels are perfect for baking, in salads, desserts or to nibble between meals. Hazelnuts are the fruits of the five metre high hazelnut tree, a part of the birch family. Unlike for example the peanut and the walnut, the hazelnut is a “real” nut in the botanical sense. Hazelnuts are at home in Europe and Asia Minor, today they grow all over the northern hemisphere. The bell-shaped, thick, woody shell surrounds a single large seed, the edible part of the nut. The hazel nut kernel, covered by an edible brownish skin, has been on the menu for thousands of years because of its delicious taste and its positive effects to the human body. 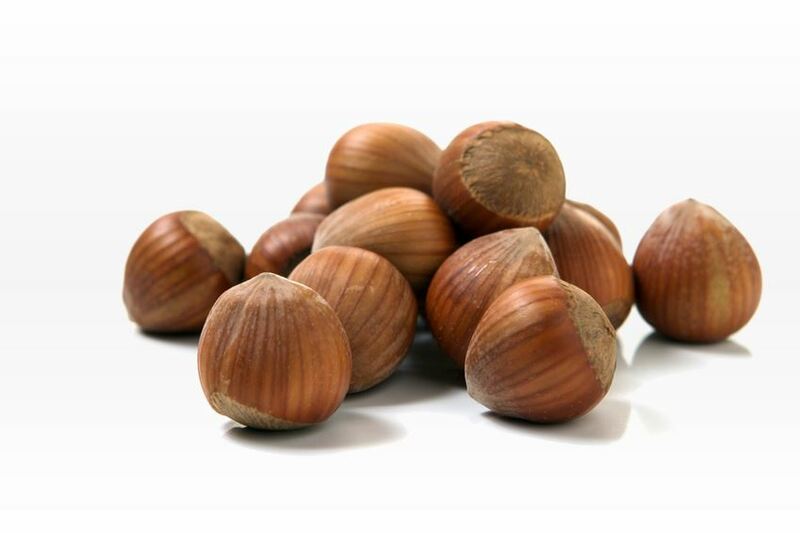 Hazelnuts contain many unsaturated fatty acids supplying energy, much magnesium, phosphorus, potassium, iron and calcium, fibre and secondary plant nutrients. Furthermore, hazelnuts also contain loads of vitamin E.